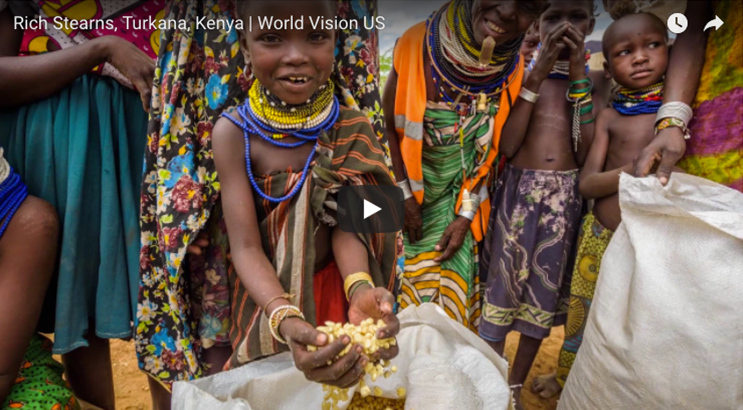 As the longest-serving president of World Vision U.S., Rich Stearns calls Christians to action on the greatest needs of our day. His award-winning, best-selling book, The Hole in Our Gospel, has encouraged hundreds of thousands of readers to open their hearts to those who are hurting in our world. Over the past two decades he has logged 2 million air miles traveling to 65 countries to better understand the issues faced by the world’s poorest people. Driven by his passion to raise awareness and support for poverty and justice issues, Rich appears regularly as a commentator in outlets ranging from Christianity Today and Relevant Magazine to Fox News and HuffPost. He regularly speaks in churches across the U.S., and in recent years has spoken at the Lausanne Conference, Willow Creek’s Global Leadership Summit, the Christian Leadership Alliance, Q Conference, Movement Day, the Worship Together Conference, and dozens of other gatherings. A former CEO of Parker Brothers Games and Lenox, Rich holds a Bachelor of Arts from Cornell University and an MBA from the Wharton School at the University of Pennsylvania. 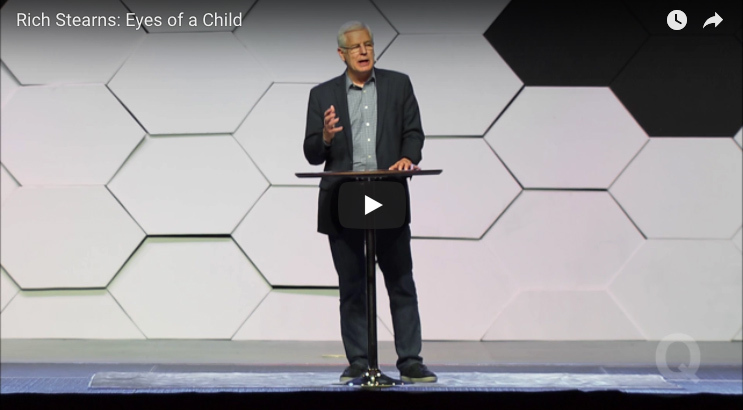 Following the calling he felt from God, he resigned from Lenox in 1998 to lead World Vision U.S., after more than 20 years in corporate America. In this position he has built a strong leadership team focused on bringing corporate best practices to the nonprofit sector and inspiring a culture of outcome-focused management at all levels of the organization. 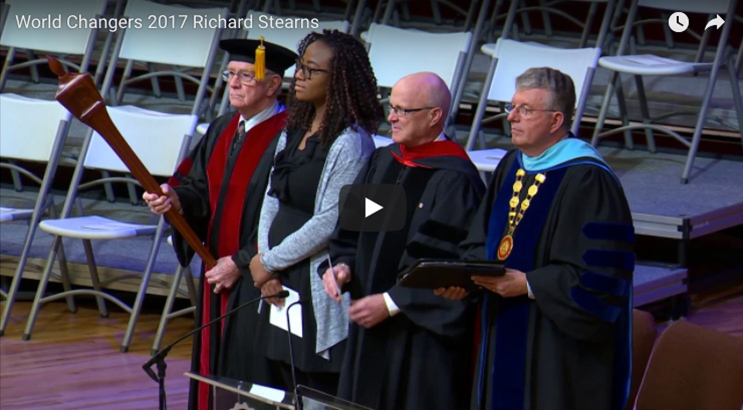 Rich’s greatest legacy will be calling the church in America to respond to some of the greatest needs of our time, most notably the HIV and AIDS pandemic and, more recently, the global refugee crisis. 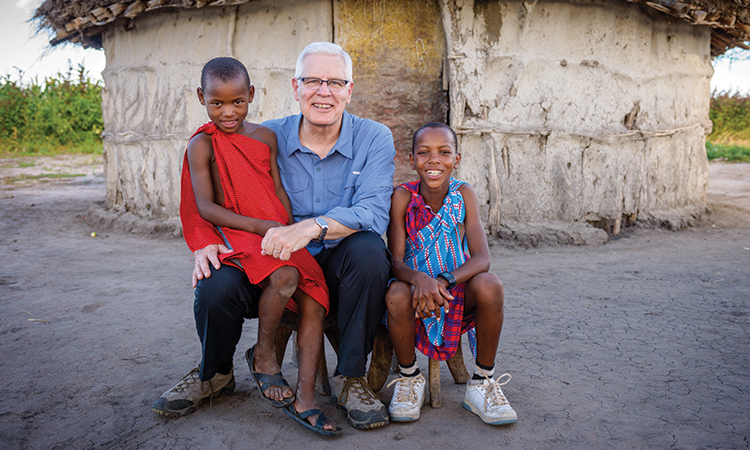 Rich and his wife, Reneé, live in Bellevue, Washington, and have supported World Vision since 1984. They have five children and five grandchildren of their own, and consider millions more around the world to be part of their family. 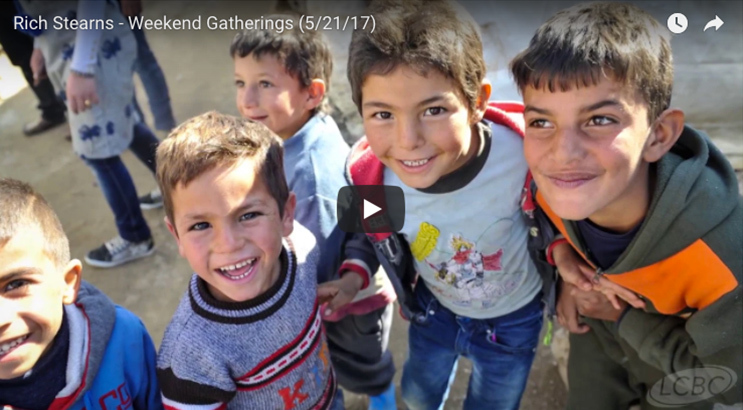 Since 2009, The Hole in our Gospel has inspired thousands to actively demonstrate God’s love for a hurting world. This special edition includes new stories from those who have taken action, links to inspirational videos, and a full-color appendix showing global need — and ways the church can respond today. Order your copy from one of these retailers. If you’ve ever wondered where you fit in the bigger story that God is writing, you’re not alone. Unfinished invites you on a thought-provoking journey to rediscover your calling to live out the whole gospel — and find the meaning, purpose, and significance you long for. Discover the hope of Christ in broken places. Journey across the globe with this 90-day devotional and hear powerful stories of faith from people in some of the world’s most impoverished regions. Rich and Reneé Stearns help you introduce the children in your life to a bigger world with familiar Bible stories told in a fresh, new way and snapshots of how God cares for boys and girls around the globe. Help kids see God’s love for children everywhere! The Hole in Our Gospel challenges believers with the question “what does God expect of us?” This fresh look at the gospel will lead you toward a deeper understanding of your own faith and inspire you to actively demonstrate God’s love for a hurting world. In The Hole in Our Gospel, Richard Stearns urges the reader to ask What if? What if all followers of Jesus looked beyond the walls of their churches and worked together to claim the world for Christ’s kingdom? In this Chinese translation of The Hole in Our Gospel Study Guide, readers explore the bestselling book with Richard Stearns. What if all followers of Jesus looked beyond the walls of their churches and worked to claim the world for Christ? In this Chinese translation of The Hole in Our Gospel Study Guide, readers explore the bestselling book with Rich Stearns. What if all followers of Jesus looked beyond the walls of their churches and worked to claim the world for Christ?